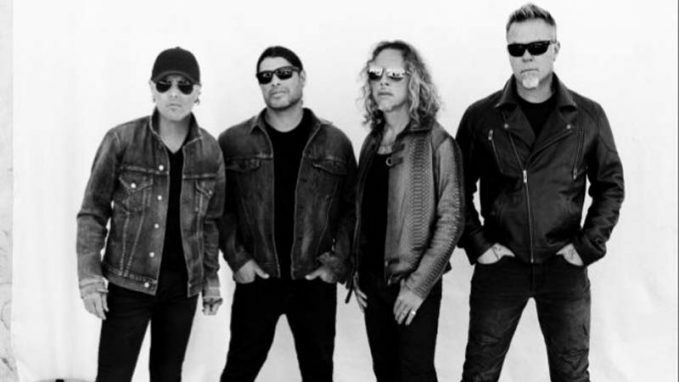 According to International Business Times, METALLICA fans have expressed outrage after tickets to the band’s European tour sold out within minutes, only to quickly appear on various ticket reselling web sites at much higher prices. Tickets for the European leg of METALLICA’s “WorldWired” tour went on sale Friday morning (March 24) and were quickly snapped up by fans eager to see the band play its first headline shows in support of the group’s latest album, “Hardwired… To Self-Destruct”. METALLICA’s October 22 show at London’s O2 Arena is nearly sold out but a few of the remaining tickets are going for around £200 (approximately $249) — a significant bump from their original price range of £50-£85. There have also been reports on social media of tickets to other shows being made available for as much as £2,000. Reselling sites such as Viagogo, GetMeIn and StubHub regularly have hundreds of tickets available a few minutes after a gig has sold out, sometimes at over 200% their original price. 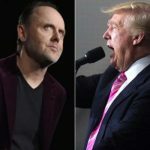 Although Viagogo does advertise some tickets at their original value or below, it has has been the focus of increased customer complaints for allegedly overcharging fans for some of the more popular events. 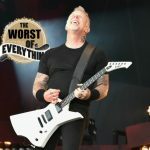 METALLICA frontman James Hetfield recently expressed his frustration over ticket rip-offs, saying that more can be done in the fight against ticket scalpers. Asked about secondary ticket sales for the band’s recent intimate show in Toronto, Canada, Hetfield told CTV News: “That’s their karma. There’s always going to be someone who has an agenda. They’re going to scoop up as many as they can. “Technology can help, for sure. It’s hard to believe something more can’t be done. The first European leg of “WorldWired” kicks off on September 4 in Amsterdam, The Netherlands and stretches through November. After a break, the trek will pick up again on February 10 in Bologna, Italy, and continue through May, finishing up in Helsinki, Finland. METALLICA will next play South America’s Lollapalooza events in Brazil, Argentina and Chile on March 25, March 31 and April 1 respectively. 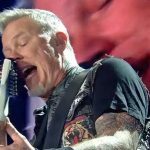 The North American leg of METALLICA’s “WorldWired” 2017 tour kicks off in Baltimore and will hit stadiums in 25 cities before winding down in mid-August. Support on the quartet’s first North American trek since 2009 will come mainly from AVENGED SEVENFOLD and VOLBEAT, with GOJIRA taking over for the latter group for the last six shows.